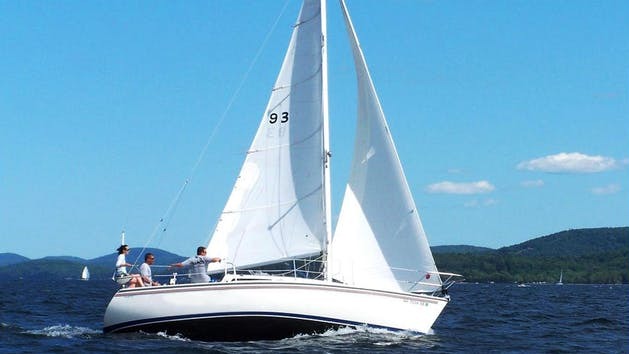 These sailboats provide the ultimate luxury in an eight-person vessel. 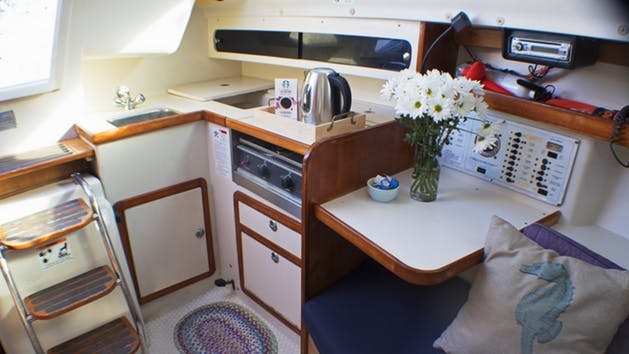 Amenities include steering wheel helm, inboard diesel, generous beam, extended cockpit seating, two burner propane stove, cooler box, CD player, VHF, enclosed head and private aft cabin. Perfect for full day events, overnights and multiple day excursions.